Why Become A Faithful Flyer? | Let Us Show You The Love! Who Are the Faithful Flyers? be an example to other alumni and friends. 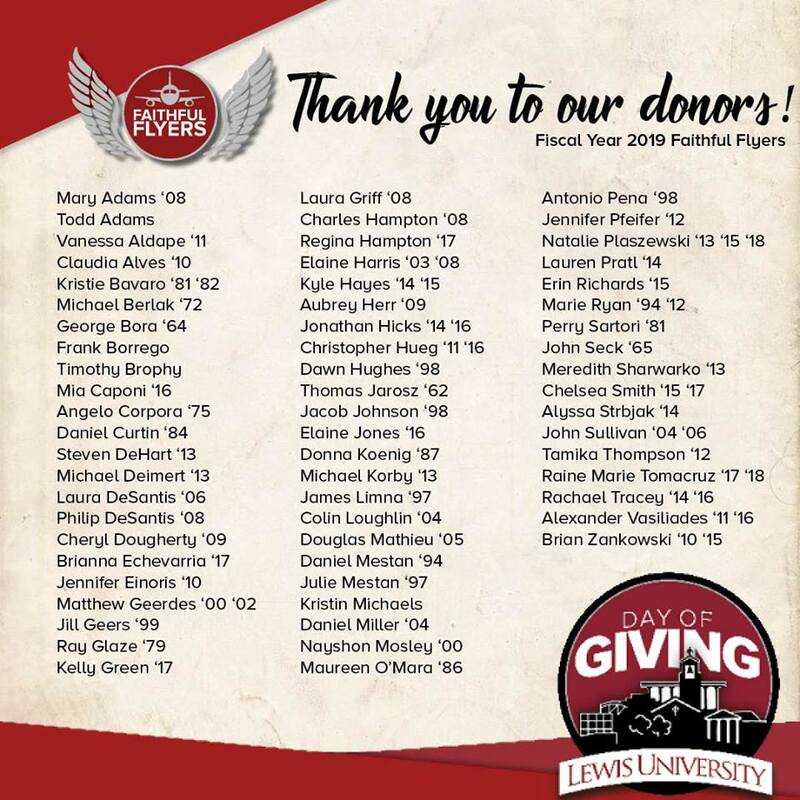 Thank you to our Faithful Flyers, who invest so generously in Lewis University!